February 18, 2014 The Academy of Motion Pictures Arts and Sciences has nominated Shuhei Morita’s “Possessions” for the 86th Academy Awards in the category of Animated Short Film. “Possessions” was released in Japan on July 20, 2013 as part of Katsuhiro Otomo’s “Short Peace” film omnibus. 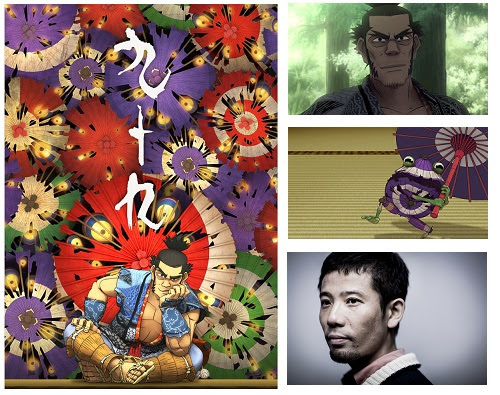 “Possessions” has already garnered a strong reputation overseas and was previously included in the official selection for the 2012 Annecy International Animated Film Festival under the original title “Tsukumo”. “Possessions” is themed around the idea that spirits reside inside things, and it portrays how people interact with these supernatural beings. The film fuses 3D computer graphics with animation in the style of old Japanese paintings, creating an aesthetic that is both highly original and magical. The winner will be announced at the awards ceremony to be held at the Dolby Theater on March 2 (EST). Story: One stormy night in the 18th century Japan, a man loses his way deep in the mountains. He comes across a small shrine and takes shelter inside. But as he enters the shrine transforms into a strange fantasy world. He finds himself in a room filled with a host of tools in various states of disrepair. He sets about skillfully fixing the household objects. But these tools are not just tools. They are inhabited by spirits harboring deep-seated grudges that are not easily appeased. Academy Award for Animated Short Film: The Academy Award for Animated Short Film was established in 1932 for the 5th Academy Awards. “Possessions” is the first Japanese animated short film in 5 years to be nominated for the award since Kunio Kato’s “La Maison en Petits Cubes” in 2008, which won the 81st Academy Award for Animated Short Film.